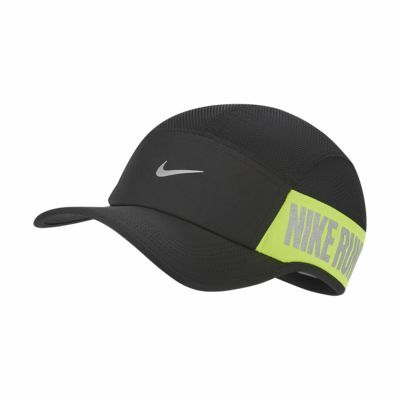 The Nike AW84 Hat combines mesh fabric with sweat-wicking power to help you stay cool, comfortable and dry on your runs. It features an adjustable strap and stretchy fabric for a personalized fit. High-stretch, mesh fabric is breathable and lets you move freely. Adjustable closure offers a personalized fit. Have your say. Be the first to review the Nike AW84.